In this Workshop Simple Skin Care you will be making your own simple skin care products. Together we're making a face or body scrub (60ml) and a deodorant (30ml). The products we make are 100% natural. 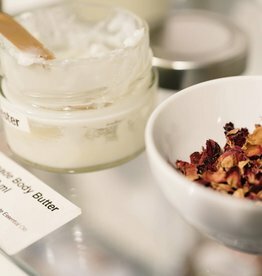 In our store are a lot of different ingredients that you can use to mix and match your skin care products. During the workshop you will learn more about different ingredients and why they are good for your skin. The workshop takes place in our beautiful store in Amsterdam. Costs: 17,50 euros per person. Duration: The workshop takes about 1 hour. What you get: Afterwards you go home with your two selfmade skin care products. Participants: Minimum 5, maximum 10. In case of insufficient entries, the workshop can be canceled. Language: The workshops are in English, as well as the materials. But there is always the possibility to get an explanation / translation in Dutch. Where: Van Woustraat 48, Amsterdam. When: You can sign up by selecting the date of your choice. Reservations can be made by purchasing the workshop in our webshop. Attention: check the box 'pick up in store' when asked tot choose a shipping method. After payment you will receive an automatic confirmation of your order and after a few days you will also receive a personal email with a confirmation of your reservation for the workshop. In this email you will find all the details of your reservation for the workshop, such as time, location etc. You will not receive a confirmation of your reservation by post, only by email. Reservation for a group: it is possible to make a reservation for a group (minimum 8, maximum 15 participants). 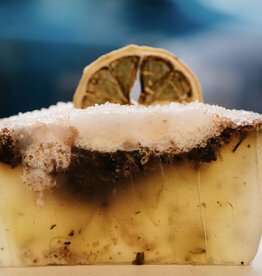 Send an email to: workshop@diysoap.nl. Dates and times in consultation. In this workshop we're making 3 different skin care products for your body. In this workshop we're making 3 different skin care products for everyday use.